Looking for a large log hone? How about a big garage?Land? Here it is! This 3500 sq. 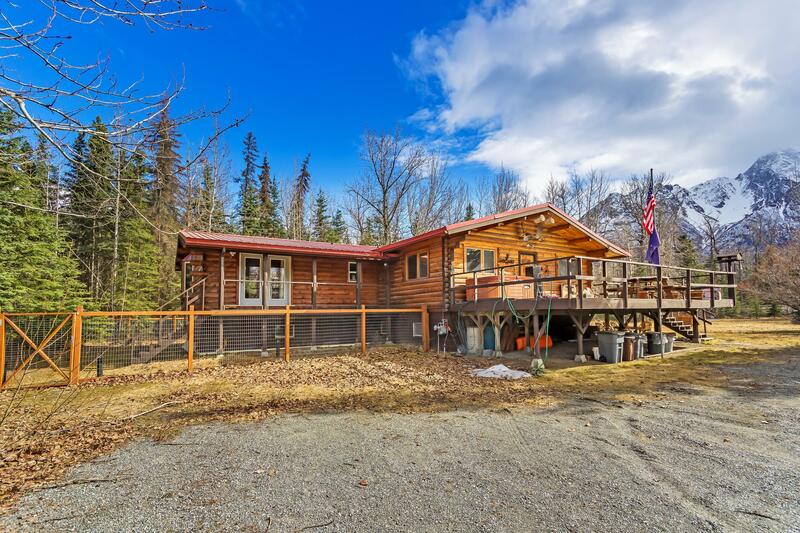 foot home sits on 3.47 acres with Bodenburg creek running through it. Want to garden? How about pets? Chickens? This house has an established garden with lilacs, choke cherries and crab apples just to name a few, plus a barn w/a chicken coop. Inside this well taken care of home you will find a claw foot tub, more a custom made double sided wood stove, a large master suite with his and her closets and a nursery/office off the master. Downstairs there is a large family room, two bedrooms, laundry room and two unfinished rooms to do with as you please! Come check out this private retreat!